Beinn Alligin or in Scottish Gaelic jeweled hill, lies on the shores of the sea loch of Loch Torridon on the west coast of the Scottish highlands. The mountain has two Munro Peaks: Tom na Gruagaich (922 m) to the south, and Sgùrr Mhòr at 3,235 feet (986 m) to the north. 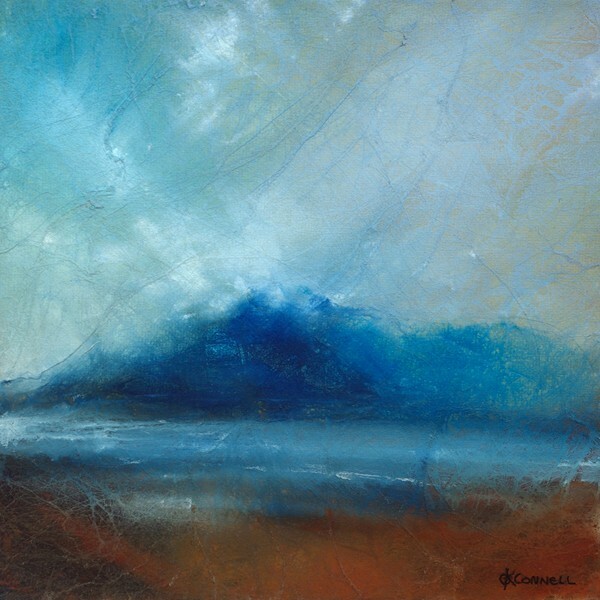 This original Scottish mountain landscape painting was inspired by the view from the south looking over Loch Torridon near to Annat and the Torridon Hotel. 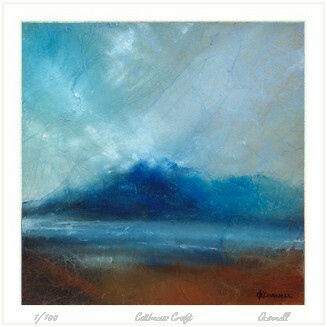 Painted in a contemporary semi abstract impressionist style with an atmospheric stormy rain soaked sky shrouding the hills in mist. 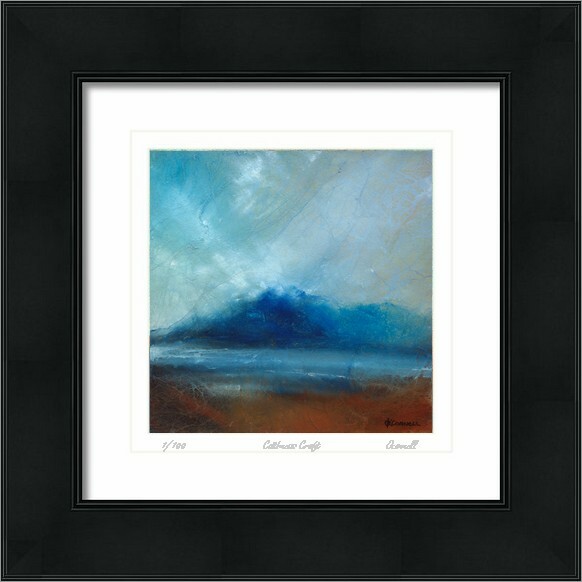 An original acrylic art painting on 8 x 8 inch lightly textured canvas on board in a white wood frame ready to hang.